Field Modifications to install extra machine guns to the nose of B-25G Mitchell #42-64882 were tested on 23 September 1943 at a live firing range on a small island just north of Townsville called Rattlesnake Island. The B-25G Mitchell crashed during these tests killing 3 Majors and the rest of the crew. Unsatisfactory condition of the external fuselage package guns caused a fire in the navigator's compartment. The plane crashed in 50 feet of water, three miles off shore of Rattlesnake Island. 2nd Lt. James G. Helton (Serial No. 0-888616). James Helton was the crew chief for this flight. Helton was award the Distinguished Flying Cross and the Air Medal. 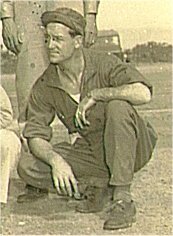 James Helton had earlier in his military career, been a crew member of General George Kenney's private B-17 "Sally". Jim Helton while he was a crew member of "Sally"
Jake Schuster had been sent to Townsville by Patterson-Wright as a trouble shooter. When the B-25 did not return from its test firing flight at Rattlesnake Island, Colonel Victor Bertrandis, the Commanding Officer of the 4th Air Depot Group took off in a small aircraft, possibly a Lodestar, to carry out a search. Walter Krell of the 22nd Bomb Group grabbed one of their B-25's and rounded up a rag tag crew including Sergeant Sardom to act as observers to search for the missing B-25. Nothing was found. Some floating debris was recovered from the area by a boat. Walter Krell inspected the debris in one of the offices at the 4th Air Depot Group at Mount Louisa. It consisted of an intact parachute, some papers, maps, manuals and a cushion. It was all badly charred. Krell deduced that it was all from the cockpit area and that the most likely cause of the crash was an intense fire in the cockpit caused by a pistol flare igniting. The magnesium in these flares would have burnt fiercely. 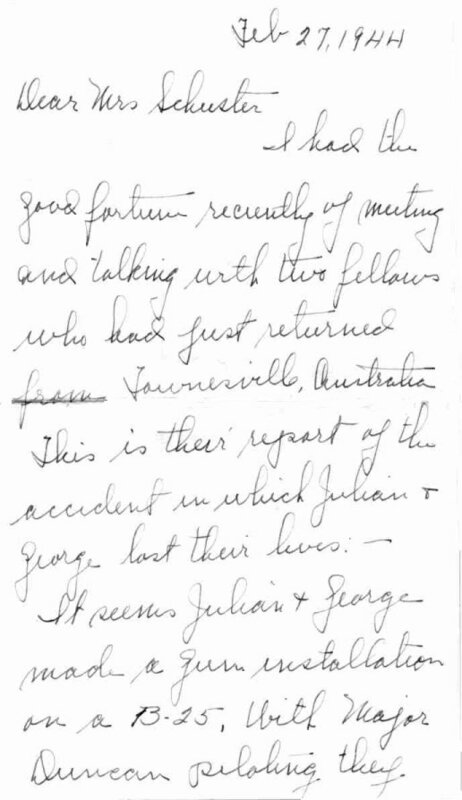 Krell was called to a Board of enquiry meeting headed by General Ennis Whitehead at the Depot Headquarters, where he explained his theory on the cause of the crash. The B-25 modifications proved to be so successful that the project was assigned to the 15th Air Depot Group for mass production. A series of open-ended metal Butler hangars were erected at Depot #2 at Mount Louisa with an assembly line set-up like a Detroit automobile factory. Eventually, several hundred B-25's were equipped with four 20-calibers, four nose 50-calibers, four side-cockpit 50-calibers and even several with a 75-mm artillery field piece. Later, some historians have given credit to these modifications along with Gen. LeMay's B-29 fire-bombings of Japan as the Air Force's major turning-points in Japan's defeat. As many as 4,000 American personnel worked and lived at Depot #2 at the base of Mount Louisa. Entertainment in the camp was held at Helton Hall, which was an open aired building named after Master Sergeant Helton who was killed in the B-25 crash at Rattlesnake Island. Some famous Hollywood stars appeared at Helton Hall including John Wayne, Joe E. Brown, Gary Cooper, Una Merkel and Phyllis Brook. The famous Woody Herman's orchestra also appeared at Helton Hall. Rattlesnake Island has continued to be used by the Royal Australian Air Force (RAAF) as a live firing range for their various aircraft. Jake (aka Julian) Schuster was my father. 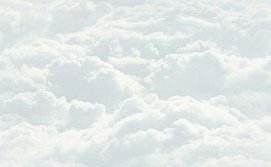 Other than the sanitized and inaccurate accounts provided to my mother by the U.S. Army Air Corps in the days following his death, there were a few letters from friends who had spoken with people who had been there and had on-the-spot information, albeit second-hand. 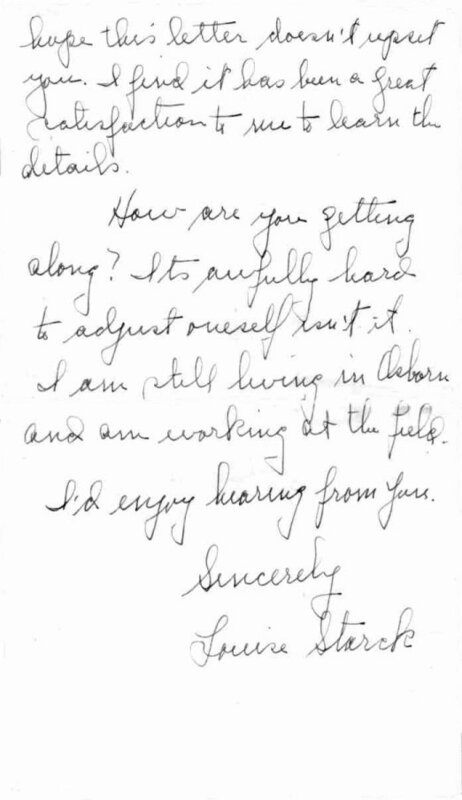 I am including jpeg attachments of a three-page letter from Louise Starck, whose husband, Major Starck was also killed in the crash, and a one-page letter from Billye Schaffer, a friend of my mother. 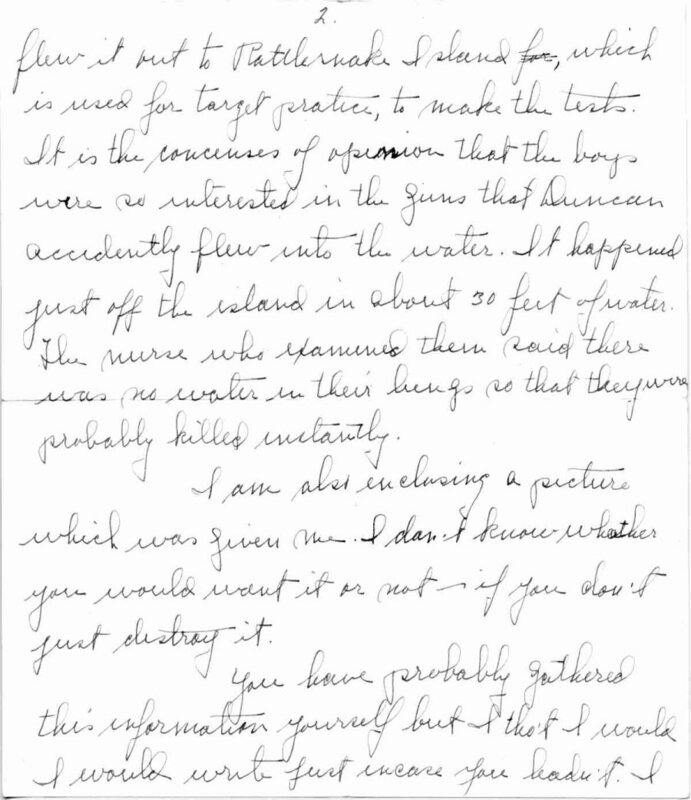 The letters contain similar information, with differing details. 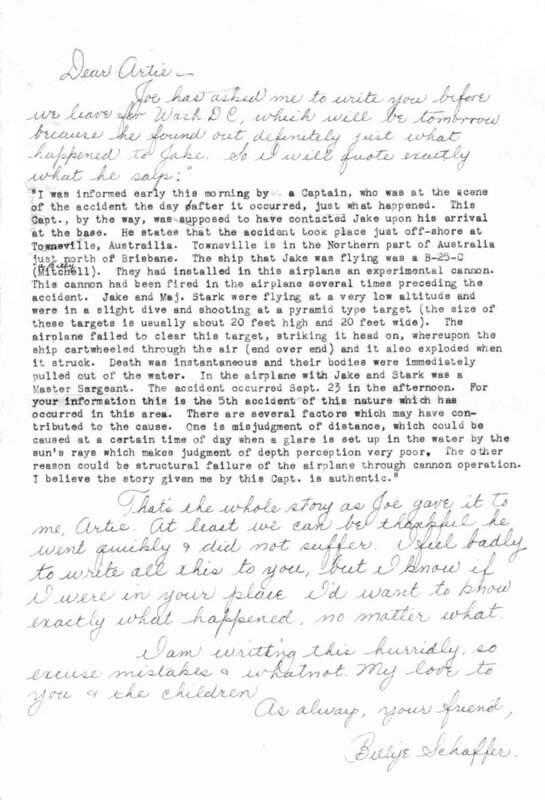 Mrs. Starck's letter indicates that Major Duncan was piloting the plane. A cousin of mine, George Freitas, of Santa Maria, California, has recently received a copy of the official inquiry made regarding the crash, and is forwarding it to me. It had been classified for a long time, but finally had been totally declassified, and was available. According to what he told me over the phone, the inquiry brought out that the men had been recovered a few days after the crash, and that my father was burned. I'd like to thank John Schuster and Mike Stowe for their assistance with this home page. I'd also like to thank Christopher C. Stout of Ridgewood, N.J. 07450, for his assistance with this home page. He is researching Major George T. Starck whose obituary said he died in a plane crash near Townsville on 23 Sep 1943. Christopher has a copy of the accident report from the USAF on this crash. Is the date of 23 Sep 43 correct?